The US war in Afghanistan produced at least 11,000 civilian casualties last year, setting a new official record, according to a report by the United Nations Assistance Mission in Afghanistan. The total number of civilians killed and wounded during combat actions by US and US-backed government forces, Taliban militias and other insurgent groups rose nearly five percent above 2014’s figure, according to the UN. 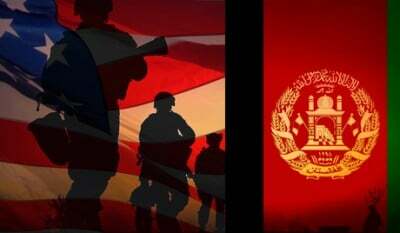 Afghan government forces were responsible for 17 percent of the casualties, while US and NATO forces were responsible for 2 percent, the UN found. The report identified at least 1,000 civilian casualties that could not be definitely attributed to any of the warring parties. The UN report repeats the claims of the US military, blaming the Taliban for the bloodshed and implying that the relative drawdown of international forces carried out since 2014 has intensified the killing. In reality, responsibility for the deepening social catastrophe in Afghanistan lies squarely with American imperialism, which has fomented and waged a series of wars against the Afghan people over a period of decades. The latest UN report found that “targeted and deliberate killings” accounted for a substantial share of civilian deaths caused by American and US-backed Afghan units. Indeed, as last October’s bombing of a Doctors Without Borders hospital in Kunduz made clear, the murder of civilians has increasingly been employed as a deliberate tactic to intimidate adversaries of the US-installed Kabul government. US special forces scouted the hospital just days before it was bombed by an American gunship, working in concert with another commando team. It was subsequently revealed that US military officers suspected the hospital of providing aid and shelter to Taliban forces, treating wounded insurgents and allowing them to use its facilities as a staging area. The disaster inflicted on the country is being utilized to justify an expanded US military presence and permanent occupation of the country. Over the past six months, the White House has repeatedly signaled its agreement with Pentagon demands for a much larger US military role in Afghanistan, for years and decades to come. Last October, the White House announced that it was delaying a planned “drawdown,” keeping at least 10,000 troops in Afghanistan through the end of Obama’s term. US military leaders now speak openly about their plans to indefinitely maintain a force of thousands of combat troops on the ground, along with extensive special forces deployments and a network of permanent bases. The US determination to continue combat operations in Afghanistan is fueled by the growing breakdown of the US-backed puppet government in Kabul, the instability of which is threatening Washington’s ability to use the country as an organizing center for military operations throughout Central Asia, countering both Russian and Chinese influence in the region. “Afghanistan is at serious risk of a political breakdown during 2016, occasioned by mounting political, economic and security challenges,” US Director of National Intelligence James Clapper warned earlier in February. The fragility of the Afghan government, headed by President Ashraf Ghani, flows from the fact that it is little more than a loosely organized drug mafia, propped up by opium money and massive doses of US military violence. Until recently, the Kabul regime was headed by Hamid Karzai, a man with close family ties to the country’s leading drug trafficker. The State Department’s own Afghanistan special inspector characterized the political regime in Afghanistan as a burgeoning “narco-terrorist state” in recent testimony, noting that US anti-drug officials often refuse to visit Afghanistan out of fear for their lives. Despite Washington’s constant rhetorical denunciations of the Taliban, the US is striving to stabilize its puppet regime by working out a compromise with sections of the Taliban via the Afghan Peace Process. US and Afghan leaders have issued increasingly open calls for members of the Islamic fundamentalist militia to join the ruling coalition in recent days. “Any opposition group that seeks to live in brotherhood with us is welcome,” President Ghani said Monday.